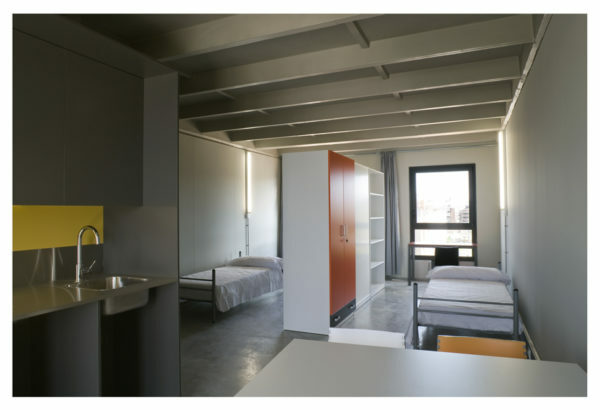 Execution of 67 government subsidised homes for the university community. 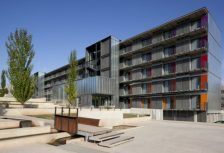 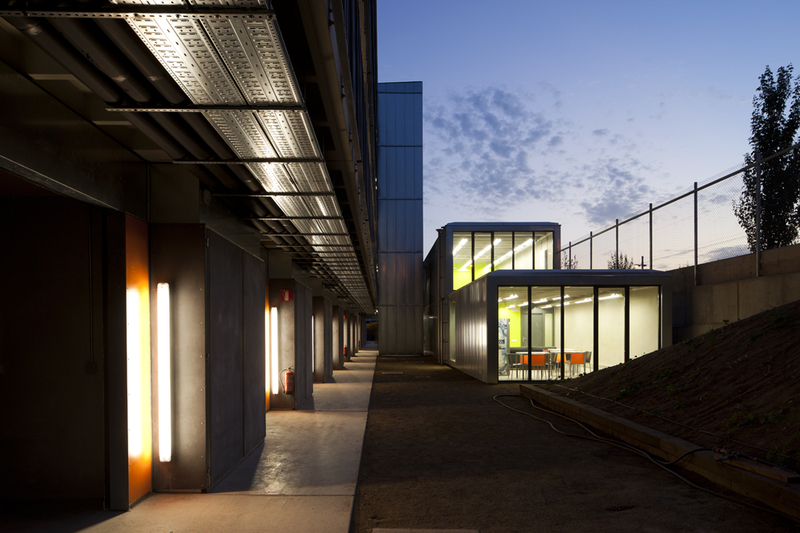 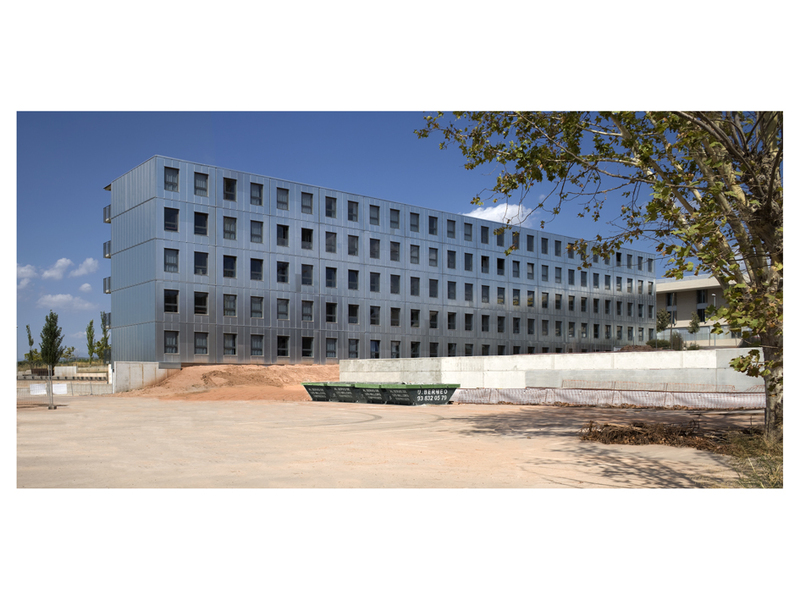 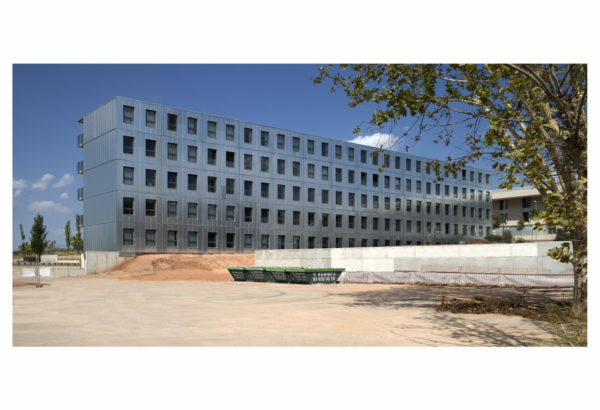 The building, just next to the Fundación Universitaria del Bages (FUB, Bages University Foundation), are organised using two jointed linear blocks. 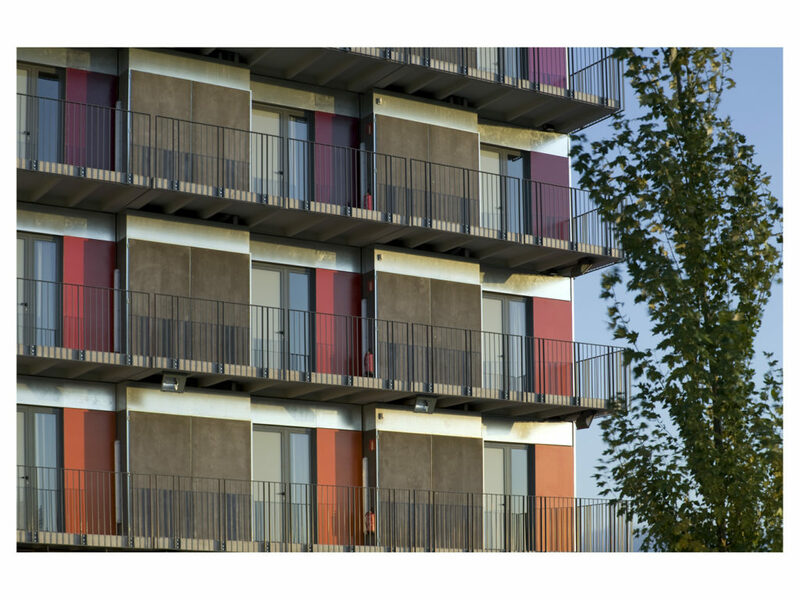 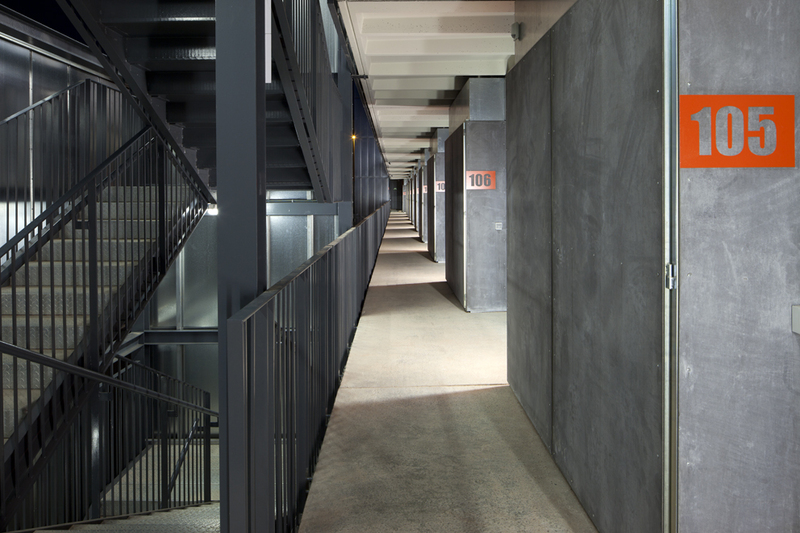 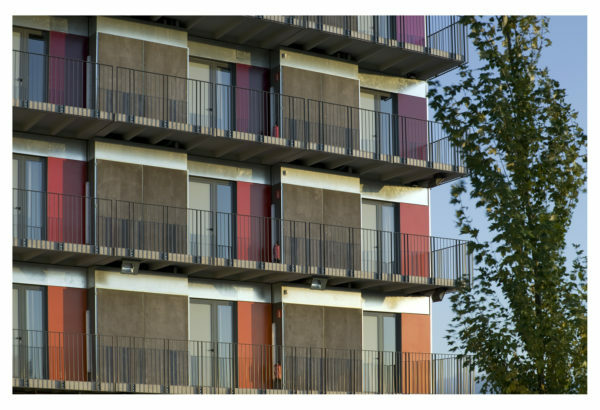 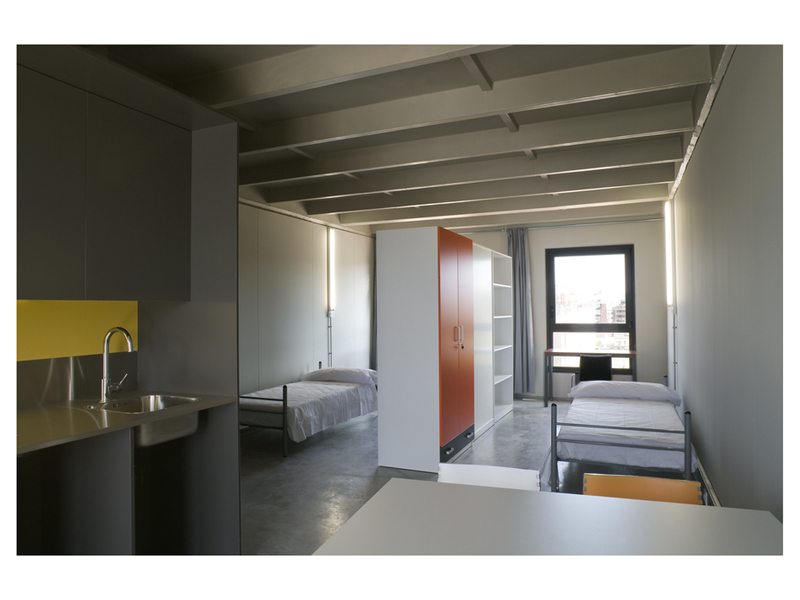 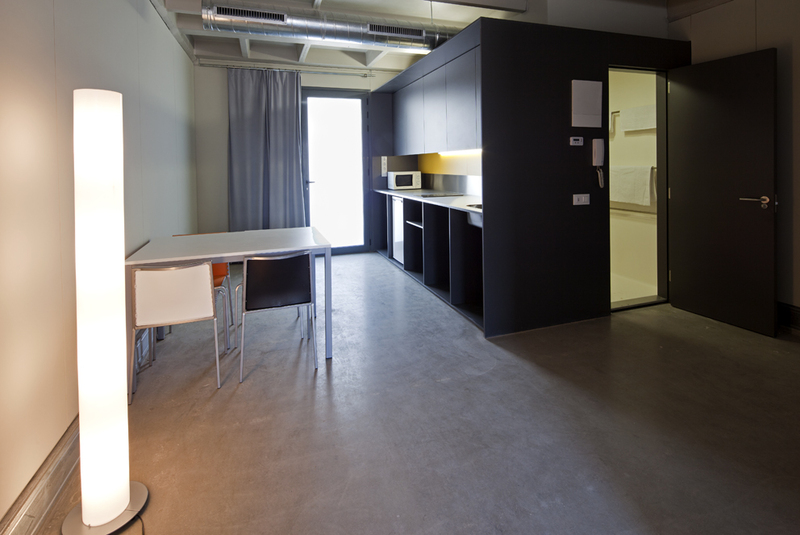 The smallest part comprises 5 modules housing various communal rooms and the main access to the building. The other part is composed of 70 industrialised building modules, 67 of which are for housing (2 adapted) and the rest for communal spaces.